Historically, mailmen have never had it easy. Harsh weather hounds them. Heavy loads weigh on them. Dogs even chase them. But the mail--and now UPS and FedEx--continue to get delivered without a second thought from any of us. Imagine what it was like in the 1860s for Pony Express riders—just replace the postal van and barking dogs with a galloping horse and rifle-toting marauders. Your only job was to “stay alive” and “haul the mail” no matter how frightening it became--just deliver the all-important saddle-bound leather “mochila” packed with U.S. mail galloped over 1966 miles of dirt trail, rocks and sand. 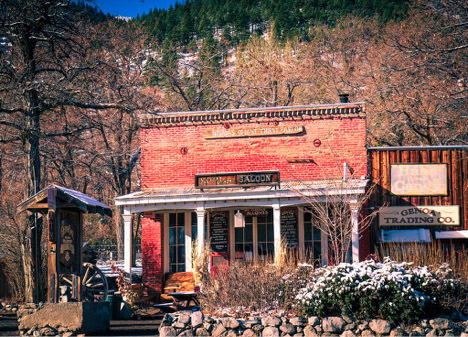 I’m not a historical expert, but since moving to Carson City, Nevada I have learned more about this iconic American trail connecting St. Joseph Missouri to Sacramento, California. 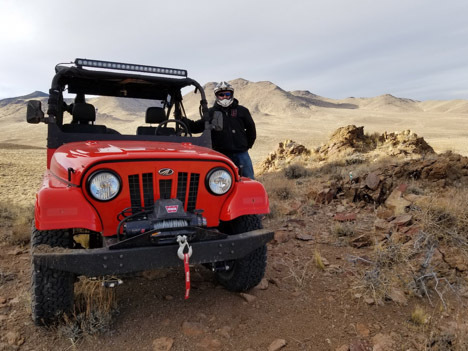 Chief Mahindra Wrench, Kyle Maki and I were recently tasked with driving a new ROXOR off-highway, turbo-diesel powered side-by-side unit…until it essentially ran out of fuel. I was up for the mission…especially knowing that 80% of the my home state of Nevada is designated public land for hunting, hiking or off-roading. I am used to being locked into a Baja 1000 machine or on a motorcycle for 10 to 12 hours at a whack, so I didn’t think this would be too much of a challenge. To make it interesting, I packed my leather saddlebags with beef jerky and a vintage canteen. 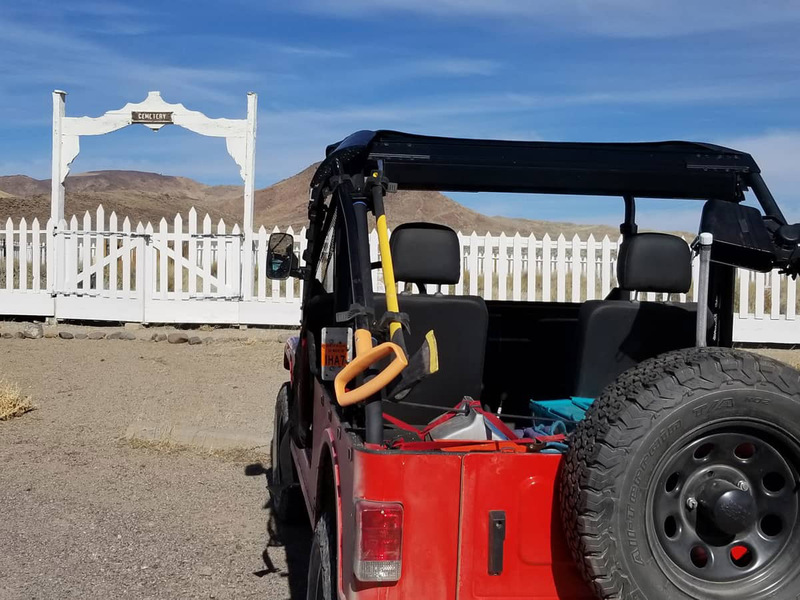 Then, Kyle and I decided we’re also going to need some more modern amenities for a trek into the high desert--a modern Hi-Lift jack, Craftsman tools, a GPS and a satellite-connected emergency tracker. Too much for a Pony Express rider for sure! Determine ROXOR’s fuel range in typical off-road driving conditions. 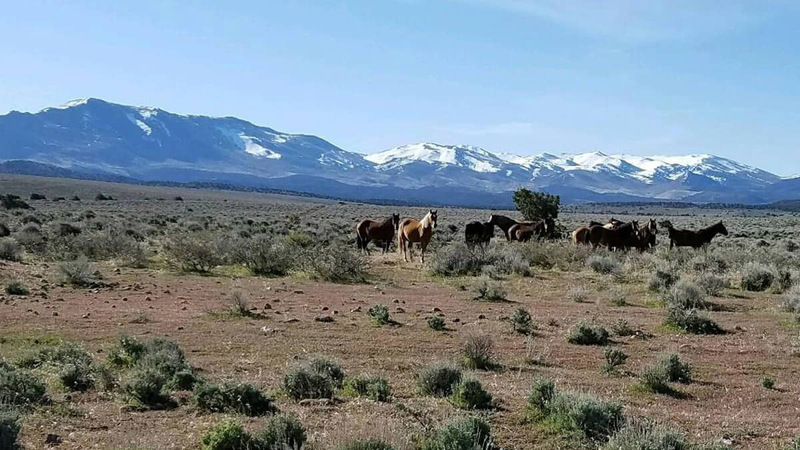 Explore at least 200 miles of northern Nevada’s section of the original Pony Express Trail. THE PLACE: Carson Range near Carson City, Pine Nuts Mountain Range, running across a small part of the Great Basin to Fallon, Nevada. Open BLM pinyon forest and high desert land populated with wild mustangs, cougar and coyotes. THE VEHICLE: The new 2018 ROXOR from Mahindra OffRoad with steel body, boxed steel frame, 4 cyl turbo-diesel engine, 5 spd automotive transmission (no belt, baby!!) and big wheels/tires/brakes. THE DRIVERS: Kyle Maki, Mahindra service trainer and master mechanic plus the author, an ex-SoCal motocrosser, Trans-Africa racer and Baja 1000-tested OHV-geek. THE GEAR: leather mail bags, tools, Hi-Lift jack, shovel, axe, 30.30 Marlin lever action, spare tire, cooler with food, water bottles. After coffee at 6 am, we took off heading east on the Pony Express Trail fully loaded for just about any eventuality. Within 30 minutes a herd of 15 wild mustangs pounded across our trail—an omen of good luck. The ROXOR bounded on to the mountains filled with gold and silver mines showing their tailings next to “No Trespassing” signs. As the altitude increased the pinyon pines got larger and the desert disappeared behind us. The Smith Valley opened up before us showing the true vastness of Nevada and the beginnings of the Great Basin. Now, head due east and stay on the trail for another 80 miles. The rough and tumble ROXOR handled the terrain with ease, but with an added spirit a run-of-the-mill UTV couldn’t have provided. It wasn’t a horse, but it was an American legend of sorts being part of the Mahindra family which began with a license from Willys Overland to build Jeeps in 1947. There has been quite an evolution of these vehicles over the decades, yet they remain simple and reliable to drive and service. No breakdowns occurred in our 2-day test—only a loose nut and bolt to tighten up after Day 1. The gearbox is pure 5-speed automotive taking me back to my sports car youth…minus the double clutching because this “box” is all synchro!! The speed limiter stops acceleration above 45mph, but rarely did we need to go any faster anyway. In low range, one can use all 5 gears on flat road or just 1st and 2nd for the toughest and rockiest of climbs. Sand, mud, snow patches or rocks didn’t slow us at all, nor did the temperature gauge ever spike. This trail tool is designed to be “bombproof” under enduring off-road conditions. I would not enter a ROXOR in the extreme events of Baja races or King of the Hammers, but it’s the perfect off-road exploration vehicle for those looking for something different than the ultra-modern plastic-bodied, belt-driven UTVs zipping around the deserts and forest trails of today. The ROXOR’s legendary silhouette is attractive while its auto-based driveline and boxed “ladder construction” steel chassis are well proven. It’s a rock! 300 mile range on a 12 gallon fuel tank of diesel. Cheap entertainment! Total fun and exploratory satisfaction from completing 250 miles along the Pony Express Trail. And after a day and a half of jerky and water, we stopped at the original Pony Express watering hole outside of Carson City—in Genoa…to finish off the trip with a whiskey! WHILE EVERY EFFORT IS MADE TO PRODUCE UP-TO-DATE INFORMATION, SPECIFICATIONS AND ACCESSORIES MAY CHANGE. YOUR AUTHORIZED DEALER CAN CONFIRM MATERIALS, ACCESSORIES AND EQUIPMENT AVAILABILITY PRIOR TO PURCHASE, AS WELL AS ALL UP TO DATE PRICING INFORMATION WHICH MAY VARY BETWEEN FACTORY-INSTALLED AND DEALER-INSTALLED ACCESSORIES. WE RESERVE THE RIGHT TO CHANGE, MODIFY, OR CANCEL SPECIFICATIONS, DESIGNS, FEATURES, AND COLORS, WITHOUT NOTICE OR OBLIGATION. SOME DIFFERENCES BETWEEN THE MANUFACTURED PRODUCT AND THE DESCRIPTIONS AND/OR SPECIFICATIONS MAY EXIST.